Campbellville Equine Services is an equine ambulatory practice established in 1979 by Dr. Christopher Gaul in Campbellville Ontario. It services the areas of Halton, Peel, Flamboro, Rockwood and parts of south Wellington county. Practice is limited to sport/performance horses and pleasure horses and our emphasis is on preventative healthcare and wellness to best maintain the health of your equine partners. Prepurchases, lamenesses, and dentistry (both power and manual) form a major part of practice days. We maintain regular office hours at our new location (35 Crawford Crescent Unit #1 this time, immediately to the right of Cristello's) You can make appointments or settle bills there and we do have retail supplies for routine supplements and healthcare products(non prescription) and first aid supplies. We accept all major credit cards and do utilize online invoicing and billing and payments for clients convenience. 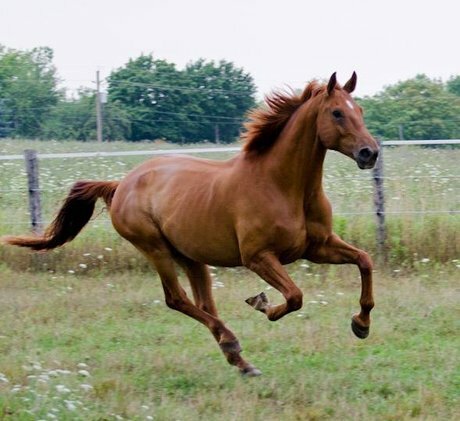 We do stock or can order a number of supplements including Platinum Performance..
Campbellville Equine participates in a rotational group of equine veterinarians to ensure emergency coverage. Coverage is extended to clients of member practices. Saturday-Sunday: office is closed, emergency on call is in effect. Only 14 days until Spring! Some of the first foals are on the ground and also eagerly awaiting spring weather. Annual spring vaccinations are just around the corner and calling early will ensure that you get your choice of times. Dentistry days are Monday Tuesday and Fridays. Do watch our facebook site for regular features on equine health and regular topics. Happy spring, weather even warms up to be a bit more seasonal next week! We have moved back to the Campbellville Plaza as our 70 Main street location was sold. We are pleased to be in a more convenient location immediately to the right of Cristello's grocery store. Hope to see you there! We are set back a little but are on the left of the music store. We welcome the sunshine and hope the soggy days of spring are done. Have a great summer! Where did that year go? After some winters with some real challenges, we really cannot complain about this one. While mother nature is not done with us yet, here is hoping that winter will be short. This is the earliest that I have ever seen robins and they know best? February and March is a great time to get dentistry done before show season gets under way. We will be able to offer some Saturday appointments to help those clients with work commitments. Vaccinations are also underway so spring is really coming. We also have a wide selection of supplements including Equithrive Joint and Metabolic, Equine Choice, Proacta, with and w/o HA, Equitop Pronutrin, Myoplast, Platinum Performance Wellness and GI, and many more. A new year with spring on the way finally.Weather has see sawed between frigid and tropical and we will all be glad to see some more sunshine. We are planning visits now for spring vaccinations and dental care. Certain time slots are very popular so perhaps check in early for convenient times.